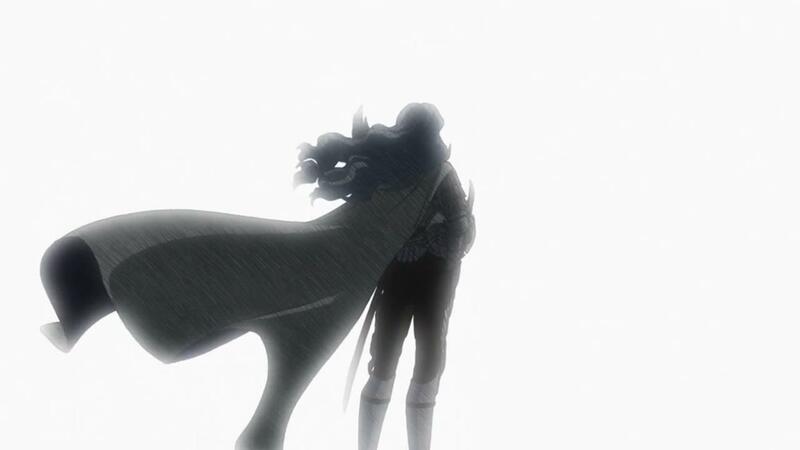 There isn’t a lot to say about this week’s Berserk. The show is continuing on the rhythm that its established, and things are moving along swimmingly. 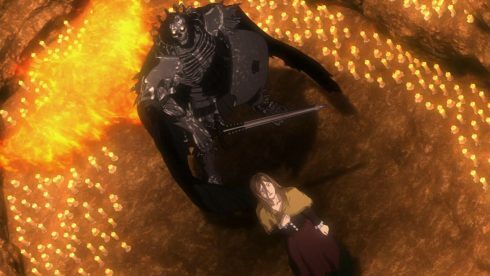 There’s intrigue, mystery, darkness, action and character moments in each episode, and this week’s offering was no exception. 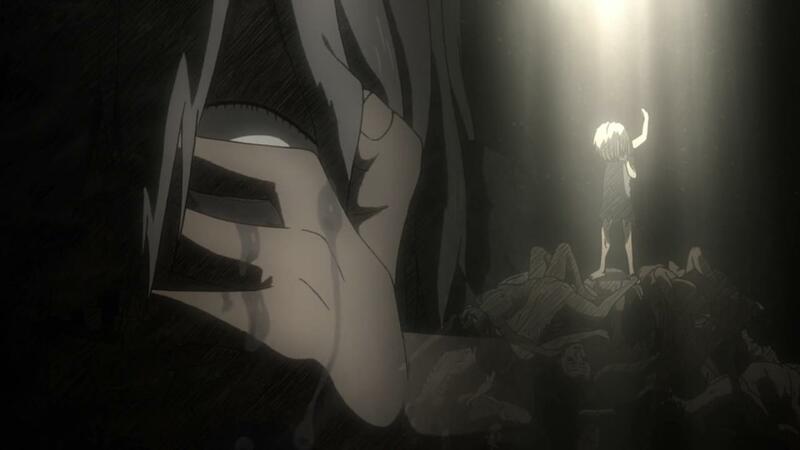 The one thing that I think would best describe this episode is that it felt very chaotic. That isn’t to say that the episode was bad or hard to follow. 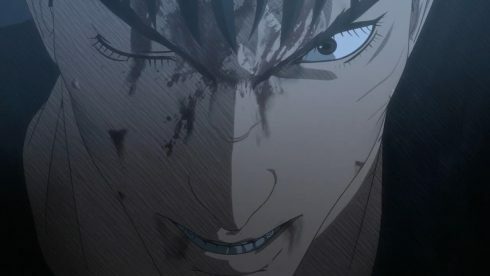 Instead, I’d actually say that this week’s Berserk episode actually nailed that feeling of a lot of moving parts and events happening at the same time. We had Guts and his whole battle with the Mogzus’s Executioners, meanwhile Luca and the Skeleton Horeseman came face to face with what seems like another unfortunate soul that used the Behelit. The Behelit is something that anime only watcher may not be too familiar with, especially if they haven’t seen the movies, or read some of the manga chapters that were skipped over. 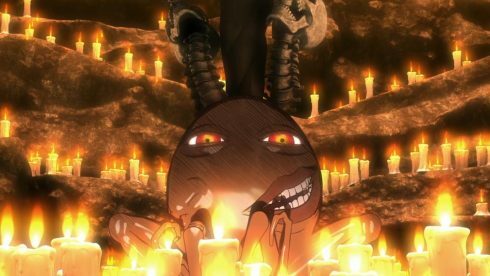 The Behelit is a sort of cursed item that seems to grant wishes based on some kind of sacrifice. 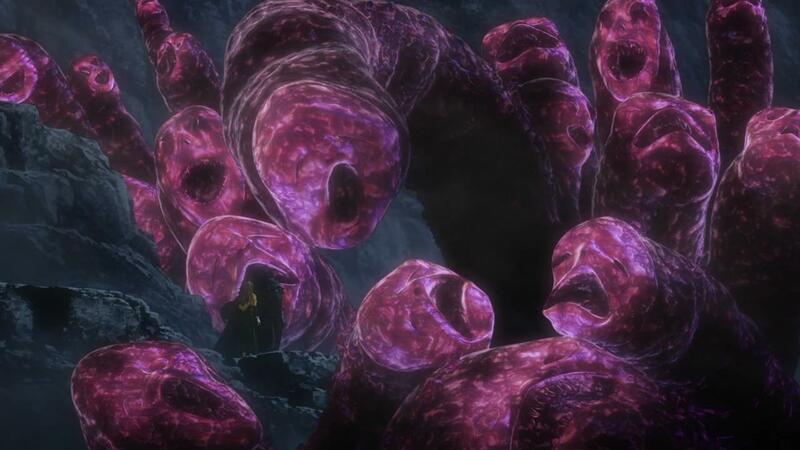 Chief among them is the Crimson Behelit, which is what Guts’s old friends Griffith used to become one of the god hand. 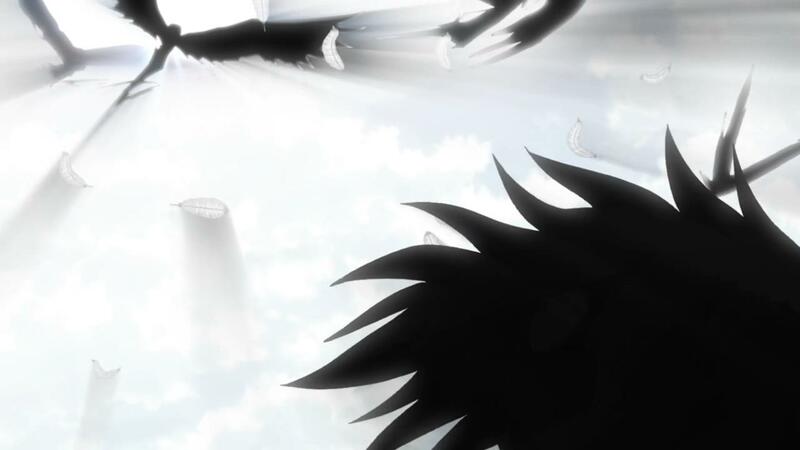 Which, is important to point out, because in this very episode, we see manifestations of the four members of the god hand appear before Guts, as he tries to get to Casca. 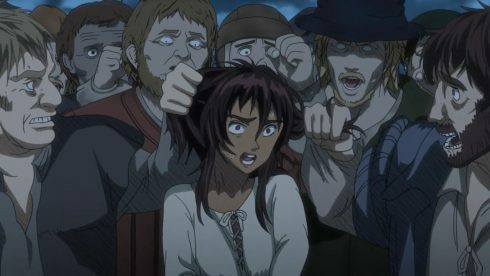 The god hand are definitely tied to Guts’ quest for revenge against Griffith and how Casca was basically mentally broken. For those curious, I highly recommend seeing the Berserk movies that came out a few years ago, for added context. 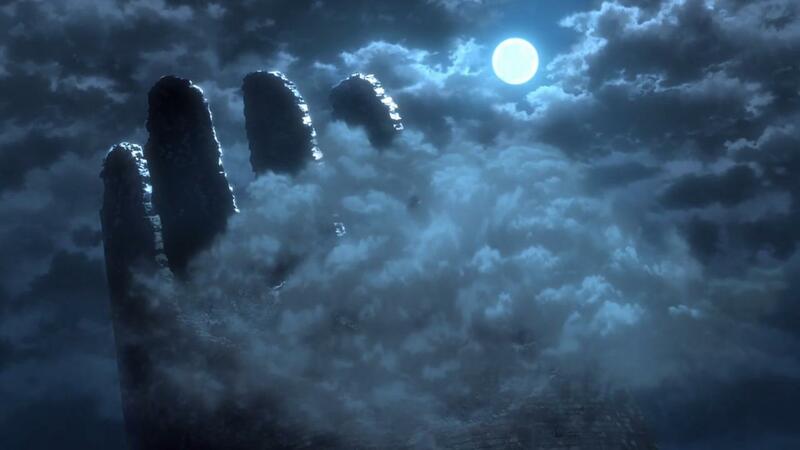 Having said that, I think the story is more or less heading towards a particular end point. 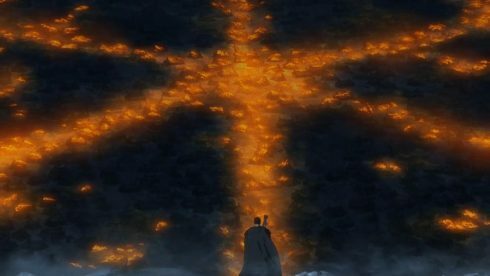 The sacrifice or festival seems to be happening again, although its very different from the one that Guts was unwittingly a part of. This one doesn’t seem to have any kind of Gate, the Skeleton Horseman suggests, and beyond seeing similar imagery, it seems like things may move in a somewhat different direction. 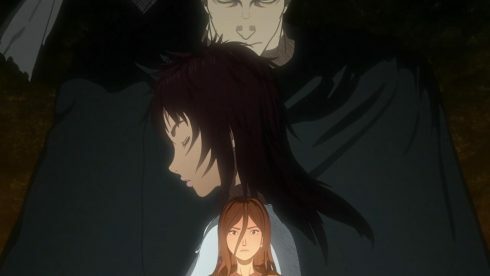 That’s about all I can say without outright spoiling the story. 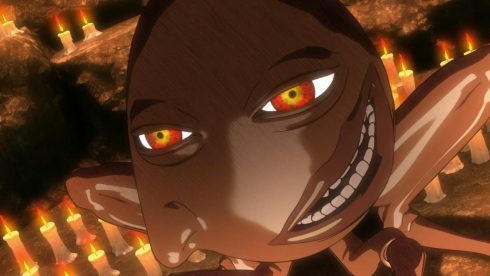 The one thing I will say, that I quite liked about this week’s episode, was the little backstory into the “egg” or Behelit child, and how terrible his short lived life had been. There’s similarities to Griffith’s situation, where the downtrodden and completely broken are backed into a corner and then given a chance at getting a wish granted. Who wouldn’t jump at the idea, in those circumstances? And just how noble would you be if you had literally nothing in life? That’s a question that seems to be tied to the Behelit, and something that I think the larger story of Berserk is driving towards. Beyond that, I do want to mention that Farnese almost verbatim echoed the ideas I had about her and Guts last week. 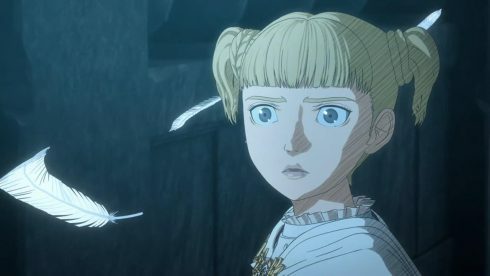 Farnese’s world continues to broken apart via Guts, and its ultimately going to have to force her to come to grips with the actual reality. And the actual reality is fairly grim at the moment. Guts may have taken out some of the executioners, but while both he and Skeleton Horseman were preoccupied, the landscape of the surrounding area has more less shifted to that of the Festival of the Hunt. 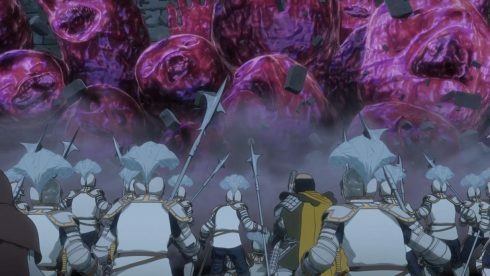 In the end, I’ll just say that I’m liking how Berserk has established a cadence and is more less progressing to where it needs to go. The story is interesting, there’s the nuance and depth of the source material, the animation doesn’t seem to be killing the mood, and the art direction remains superb. 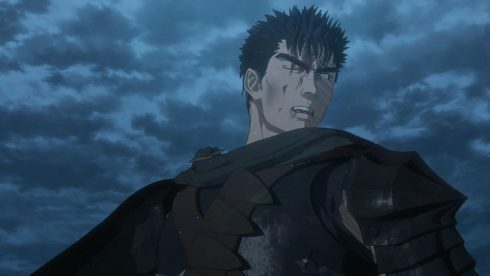 We’re 3 weeks out from the series ending, so it’ll be interesting to see where the series ends, and what future the franchise of Berserk holds, in the animated realm.